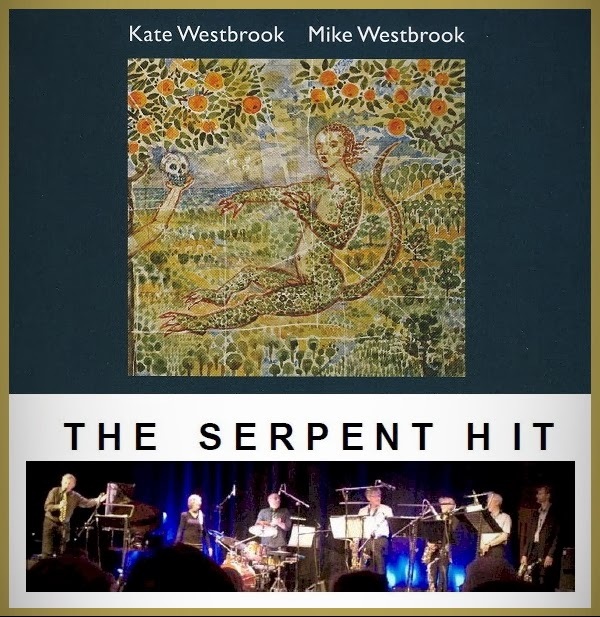 Sulle musiche di The Serpent Hit da lui composte - su libretto di Kate - dice con orgoglio Mike Westbrook: "Introducing the Be-Bop Marching Band, four saxophones and drums, and Kate accosts the passers by - proclaiming, haranguing, questioning as she unfurls her fable of The Fall of Humankind. She uses everyday language, slogans and clichés that, in her mouth, acquire a poetic force. This is jazz, so occasionally she throws in Dadaist words and phrases, used for their sound not their meaning. Musically I’ve tried to match this libretto by using idioms from popular music, even show biz, mostly familiar, sometimes banal. I take a Broken Rag, a March, a Ballad, a Rock Riff, a Blues. These are juxtaposed in a seemingly random way with Kate’s text. Just as the meaning of the words can be ambiguous, so the musical genres are subverted by improvisation and by Be-Bop harmony. The artist has to ask ‘What can I do here, now?’ When Stravinsky, with The Rite of Spring and other Diaghilev ballets behind him, found himself with limited resources, his answer was The Soldier's Tale. It’s a question of ‘let’s do the show right here.’ When even the doors of the jazz clubs are closed, take the music onto the streets. We did this with the Brass Band in the 70s, and the thirst for creative freedom has often led us to seek a new platform. Now is such a time. The operas, the epic concert works are now History. It’s time, figuratively speaking, to get back on the street. Hence The Be-bop Marching Band. 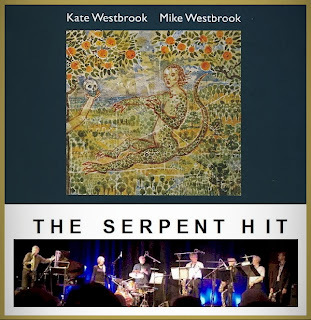 Hence The Serpent Hit."